In the table above, the terms "Cold" and "Hot" refer to the temperature of the coils. "Cold" means approximately -10 to 50°C (14 to 122°F). "Hot" means approximately 50 to 100°C (122 to 212°F). 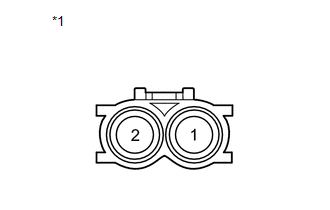 If reusing the crankshaft position sensor, be sure to inspect the O-ring. 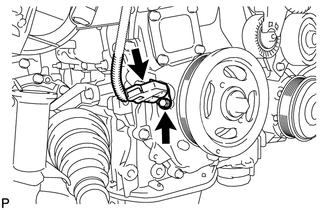 (b) Install the crankshaft position sensor to the timing chain cover sub-assembly with the bolt. 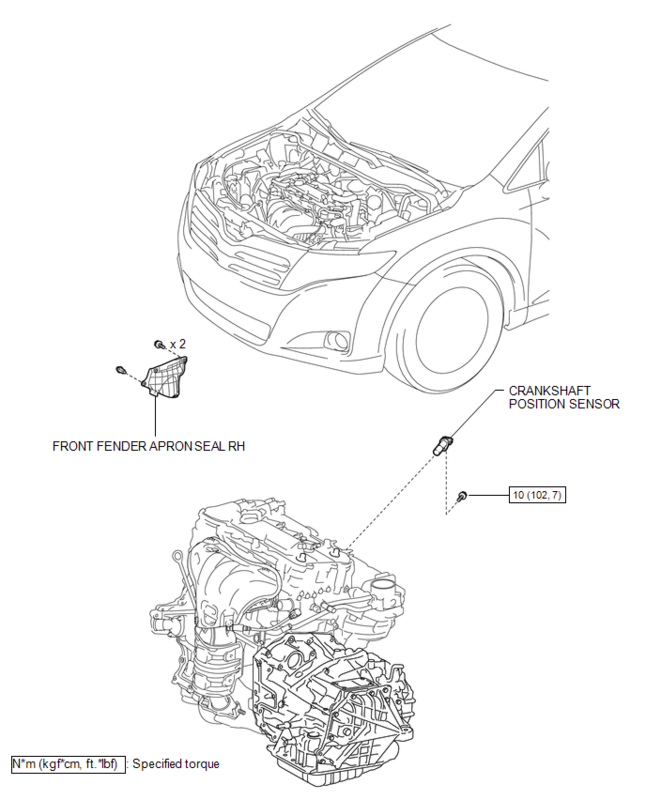 If the crankshaft position sensor has been struck or dropped, replace it. Make sure that the O-ring is not cracked or moved out of place when installing the crankshaft position sensor. (c) Connect the crankshaft position sensor connector.